The subscription box service may someday become an icon of 2010s nostalgia, much like what America Online was to the '90s and gelatin-enveloped tuna was to the '60s. While the early 2010s saw a huge rise in the business of selling subscription boxes, the data suggests it may have hit its peak as venture capital activity in the space slows down. There were a record-high 70 VC deals in subscription box companies in 2016, according to PitchBook data, but 2017 and 2018 recorded only 56 and 50, respectively—numbers last seen in 2013 and before. Last year did, however, register a record of $1.2 billion in capital invested, perhaps due to the industry maturing and yielding greater value as a result. The items contained within a subscription box are not radically new or scarce products. Makeup and dog food can be ordered à la carte at any time. Further, barriers to entry in this industry are low, as anyone tech-savvy enough can curate a collection of products, use an ecommerce platform for infrastructure, and start dishing out mail-order baby diapers and nearly-frozen salmon entrees. Therefore, what's the secret sauce that makes venture investors commit hundreds of millions of dollars to this relatively new industry? Envision the feeling of taking your first steps out of the airport in a country you have longed to visit. You cleared customs, picked up your baggage, exited the secured area, and now you're approaching the doors to exit. Imagine the first sensations to overtake you as you step outside: how the temperature feels, the unique smell of local food, the sounds of the local language. Suddenly, it feels like you are reaching new heights in your unique journey in this world. Yet, once you walk through that same airport three or four times, suddenly it feels mundane and scripted. Gone is the blissful feeling of entering a new world, instead replaced by the average hum of your usual psychological state of mind. What happened to that long-lost thrill and emotional arousal? In the former situation, the concept of novelty is at play. Simply put, everything was new and your brain was firing away in all the right places. In the latter, your brain simply didn't exert itself quite the same since everything was more familiar and less novel. The same emotional progression can be said for music, relationships, and—most importantly in this case—subscription boxes. On a deeper level, psychologists refer to this as "novelty seeking." A 2006 scientific study conducted by neuroscientists Nico Bunzeck and Emrah Düzel traced this concept to two small areas in the deep center of the brain, known as the substantia nigra and ventral tegmental area (or simply SN/VTA). This area is significantly responsible for feelings associated with reward and pleasure seeking, such as the motivation needed to invest in venture capital and the happiness associated with earning a substantial profit. The substantia nigra and ventral tegmental (SN/VTA) areas of the human brain are in the center. In Bunzeck's and Düzel's experiments, the SN/VTA areas were rapidly activated when people were repetitively shown the same images, but with different, random elements added in each iteration. Desirable, pleasing objects that were randomly added to the images activated the SN/VTA to varying degrees. This led to feelings such as happiness, satisfaction, and motivation—at least for the time spent enduring the experiment. Repetitive images with no new content added and negative images, such as car accidents and trauma, did not produce SN/VTA activation. Consumers' brains are also activated when they receive substantially new, personalized and thrilling elements from a subscription box service. And to dig deeper, it's important to understand how subscription boxes are categorized and the different ways SN/VTA activation manifest for subscribers. McKinsey's report found that curation was by far the most popular category followed closely by replenishment and then access. And the SN/VTA areas of the brain seem to reflect in McKinsey's research on consumer preferences in each category. Even for the low-key "replenishment" category, which includes Dollar Shave Club and Ritual, consumers ranked the novelty-seeking aspect of "personalized experiences" as one of the top three most important considerations in choosing a subscription box service. For the "curation" category, it was the most important aspect. While psychology could possibly explain some aspects of a service's success or shortcomings, the real-life flow of venture capital funding can shed light on what investors are looking for. 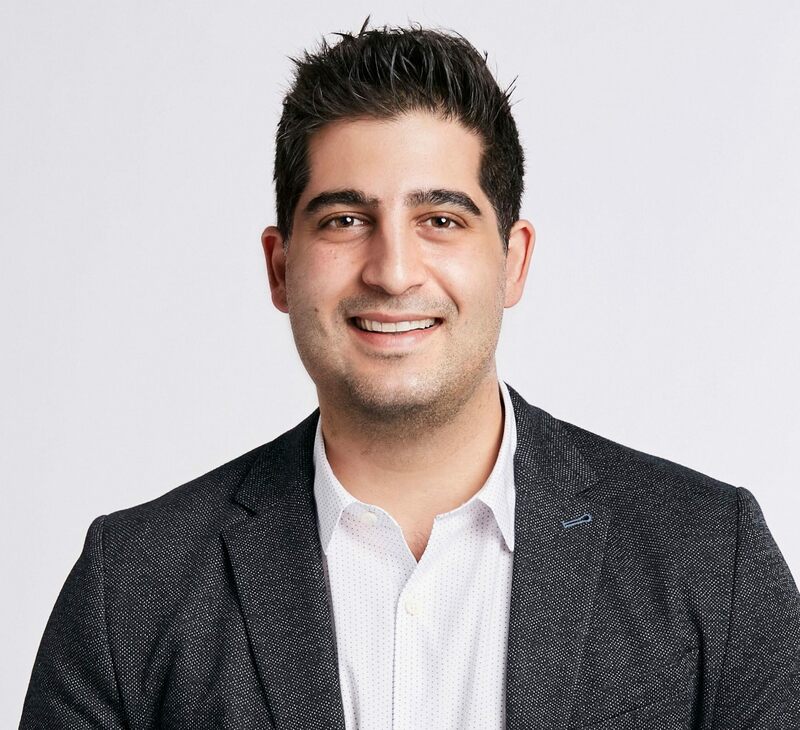 And to get an idea of where VC funds are going and the justification for such investments, I spoke with Daniel Broukhim (pictured), co-founder of FabFitFun, a beauty product subscription box service. Last week, Broukhim's company announced an $80 million Series A, an enormous deal that gives it an estimated $1.1 billion valuation, according to PitchBook data. Whether Broukhim read McKinsey's report is unclear, but his company's shift toward the "curation" category is suggestive. Broukhim told PitchBook that his company is focused on personalization using artificial intelligence, in addition to traditional customer input. "We are using machine learning to make predictions around what products we should send to customers, and we are using that to increase personalization in what gets sent to a customer," he explained. In addition, Broukhim mentioned that his subscription service is focusing on building an ecosystem beyond just the actual box that customers receive. He plans to accomplish this by investing in media content and brand engagement to build value in between a customer's box shipments. "We are kind of building 'micro-communities' for our customers to provide feedback and our brands to provide engagement and activity to customers, and ultimately increase sales," he said. "We want to create one-of-a-kind experiences that draw people in; we're even thinking through how we can engage with the community more, such as through live events, and unique experiences are what we want to kind of focus on to uniquely draw people to our membership, but also to continue to invest in things like core infrastructure that really allow us to personalize the shopping experience." This initiative is in line with McKinsey's research that consumers are increasingly prioritizing novelty and excitement as a significant factor in both the initial conversion and long-term retention of a subscription box service. Broukhim's initiatives of live events and using artificial intelligence to optimize customer personalization, for example, contribute to the psychological value that transcends the physical experience of simply receiving beauty products in the mail. Now that we know the science behind what potentially makes for a successful subscription box, we can explore where VCs have placed some of the biggest bets. A provider of fresh, customized dog food meals, The Farmer's Dog completed a $39 million Series B in November 2018. This brought the Brooklyn-based company to a $209 million post-valuation, according to PitchBook data. Overall, VC-backed pet tech companies in the US have raised over $1 billion in combined funding since the start of 2010. The company can be classified as an "access" company because customers were most likely going to buy dog food anyway. The Farmer's Dog provides a perceived discount compared to procuring and cooking high-end dog meals at home, which most likely is the primary factor in a customer's conversion and retention motivation. A customer provides input regarding numerous characteristics of their dog, such as age and activity levels, while The Farmer's Dog designs the recipes. This provides a moderate amount of novelty as new recipes are included in each box, while the customer expects to have recipes tailored to their dog's needs. Playing significantly into the concept of novelty seeking, Loot Crate ships gaming- and entertainment-themed mystery boxes to customers containing memorabilia, clothing, artwork and other merchandise. While the customer chooses the type of box they wish to receive—such as a higher end box or a value box—the items are not revealed ahead of time. The SN/VTA areas of the brain are most likely activated as a result of the surprise factor, assuming the customer likes the items they receive. Based in Los Angeles, Loot Crate was named America's fastest-growing private company by Inc Magazine in 2016 and received $23 million in growth funding in August 2018. The company would be classified as "curation" per McKinsey's research. This involves a highly creative, novelty-centric expectation in a consumer's mind, which appears to be fulfilled by the surprise items in each box. In December 2017, Daily Harvest, a provider of food subscription boxes, completed a $43 million Series B funding led by Lightspeed Venture Partners, bringing the company's post-valuation to $163 million, according to PitchBook data. 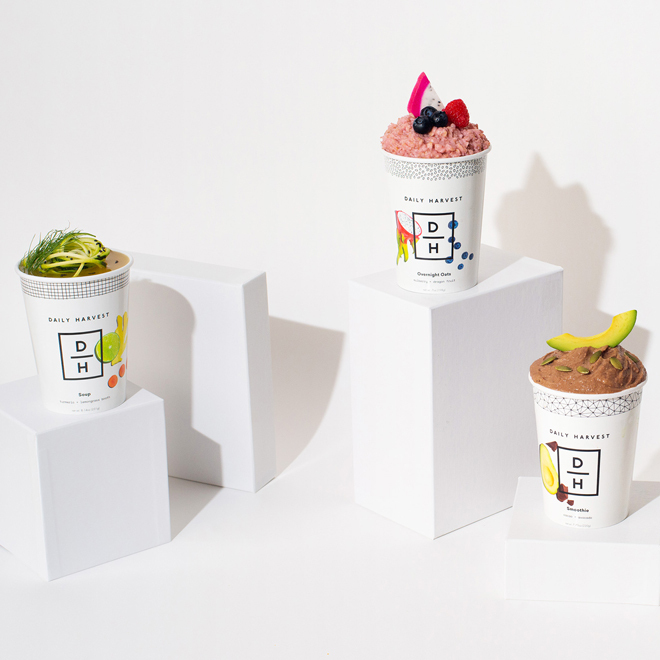 The New York-based company provides fruit- and vegetable-based food cups that do not require cooking. While novelty comes from the customer potentially receiving new recipes with each box, the customer is expected to make selections from a limited variety with the option to have the company provide suggestions. Daily Harvest, therefore, would be categorized as primarily an "access" company with elements of "curation," due to the variety of food cups offered and the ability to tailor selections based on nutritional preferences. While novelty appears to be limited to the approximately 50 cup choices being offered, unless the company extends the novelty by changing the recipes frequently enough, it appears the company primarily sells convenience in the way of offering easily prepared healthy food in single-serving sizes. Ultimately, while psychology is only one factor in predicting success, it could play a large role in determining whether subscription box services will be resilient or if they will be another passing fad over the course of a decade.